I do not feel shy in admitting that I am an addict. Rather I am proud that I am addicted to Alaipayuthe!!! A Tamil movie directed by Maniratnam with Madhavan and Shalini as the lead pair. What makes me reveal my relationship with Alaipayuthe now?? It is because of the startling fact that I watched it for the nth time yesterday. I still remember the first time I watched it in theatre. It was in a hot and sunny day in April, 2000. I know that it is almost a dozen year before. I went to watch it holding my mother’s arm. 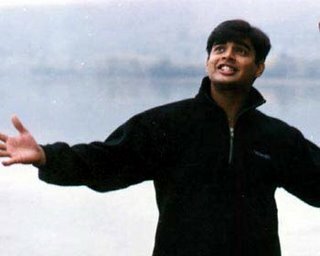 I was super-eager to watch it because of the rumors that Alaipayuthe will be the last film of Shalini. 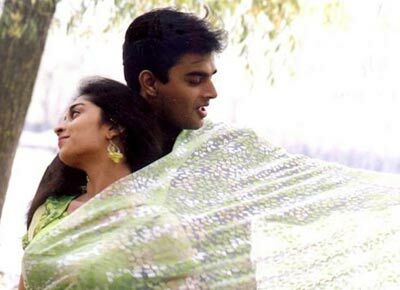 What’s so special about Shalini?? Everybody who is in their twenties now will know why she is special. Most of us or almost all of us have grown up watching the movies of Shalini and her younger sister Shamili. The latter’s movies were more intimidating. They were child artists of course. But, they were portrayed more like Jhansi ki Rani. I mean, they were very bold, strong and every child wanted to be like them!! Or let me put it this way. I wanted to be like them - may be a Sambavi or Bhairavi or a Durga. And I belonged to one of those rare kids who could watch their Tamil, Kannada and Malayalam movies in the theatre and understand it as well. Therefore, their influence in me was quadruple!!!! My affair with the movie named Alaipayuthe. First, I learnt the lyrics of its songs. Graduated further and learnt its dialogs. Further, I was able to tell the color of the costume they wore. Finally, progressed farther enough to say the costume color of the supporting actors as well!!! I was caught by the way the script was written. And, the always pleasant and fresh songs! My madness spread like a plague. All my friends started recalling the movie’s dialogs too. Not because they were also crazy enough to watch it. But, it was because I always tortured them by imitating scene by scene. Even today, there are many friends who cant stop remembering me in the mere mention of the word Alaipayuthe. Somebody would always inform me if the movie or song or even a scene for that matter is shown in television, In fact, yesterday also I came to know that the movie is telecast because a friend texted me!!! Alaipayuthe procured the position of being my lucky charm. The movie used to be telecast in television just before something important happened in my life. It may be an exam. Or result. Or it may be during a time where I would be starting to learn or do something new. It became a part of my life. Karthick and Shakthi – the lead characters - became more like a friend who would come well in advance to wish me good luck. Yet proud about being addicted! And the decision to was to buy Alaipayuthe CD!!! My Mother declared that I am totally mad. My father said no one can get crazier than this. My friends teased that I am nuts. On the contrary, on account of addiction!!! Siv... ALAIPAYUTHE... The bliss... Thank u mad.. Ur post took me somewer..
Another die-hard fan of Alaipayuthe !! I am reminded of an interpretation of the adjective beautiful which I learned during school days almost 12 years back ! The interpretation is that things which we consider beautiful would never be boring or tiresome - it always excites you at the soul level ! I get THAT feeling whenever I watch this movie. The cast, screenplay, dialogs, music, songs and acting are par excellence in this movie ( genre ). Guys would fall in love with Shakthi as would gals with Karthick in this movie !